New DTH Connection Price list All DTH Comparison Updated ! People love to spend hours in front of their TV and that is why DTH service providers in India have been doing great business. There are over 67 million active DTH users in India which proves the high demand for DTH services in India. The government of India had not allowed DTH services or satellite television services before 2000. 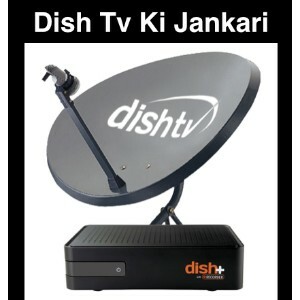 In 2003 came the first DTH service provider, Dish TV which was followed by DD Free Dish DTH service. Then every year new DTH service providers started popping up and that is why people started looking up for New DTH Connection Price list to get a better comparison of various DTH services. Each DTH service has got its own set of channels, services, and new DTH connection price. 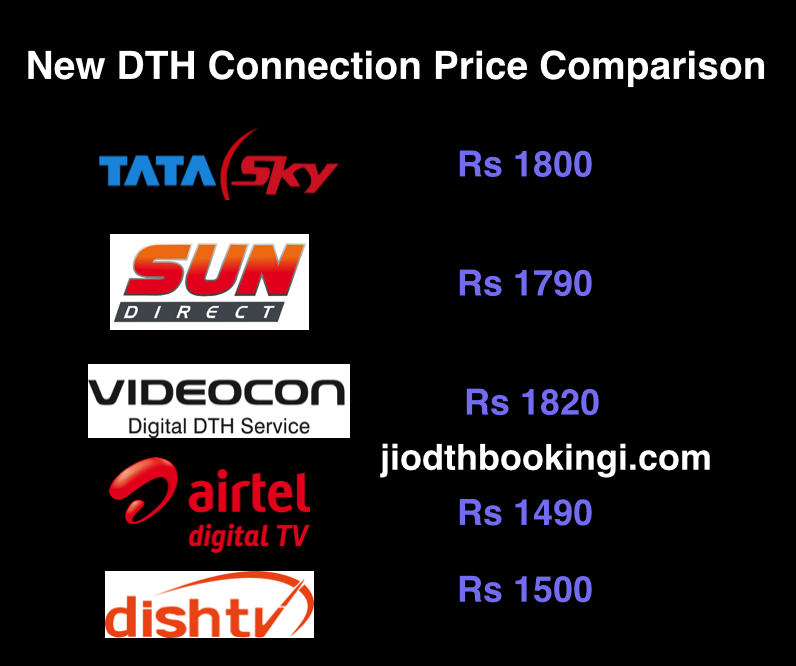 Here, we have laid down all the new DTH connection price comparisons for you so that you can decide which DTH service to go for conveniently. There are so many DTH companies in India that if you are planning to install a new connection then you might get a bit confused. Each of them has its own set of channel lists and other additional services. You need to compare all of their features and then decide which one will suite you the most. While DD Free Dish service is free of cost, it has got only a limited number of channels to watch and your favorite channel might not be listed among them. If you are a South Indian resident, then you might find Sun Direct better than the others because it has got specific regional channel packages. So, it all depends on the features offered by the DTH company and the prices of installation. Our New DTH Connection Price list will include the price of installing a new DTH connection of each of the above-mentioned DTH companies so that you can easily decide which DTH company to subscribe to. But before making a comparison, let’s know what the prices of new dish installations are for each of the popular DTH brands mentioned above. Dish TV is the first DTH company in India and it has comparatively cheaper subscription rates than the other DTH brands. It was developed to provide DTH services to rural areas which could not reap the benefits of cable services. The price of a new dish installation is about Rs 1750 in which you will be getting a setup box (HD), with one month of free subscription worth Rs 543, free lifetime warranty and coupons from your favorite brands. If you want the standard definition connection, then you will have to pay Rs 1699. Just give your name and mobile number in the specified tab in their website and click on submit. They will call you back and assist you till you get a new connection all set up. Dish TV Channel list has improved extensively after its merger with Videocon D2H. Airtel is known for its impressive picture quality and amazing Airtel Customer care support which is better than the others. Though Airtel offers a cheaper price of new dish installation, yet its subscription prices are a bit higher. New HD Connection starts at Rs 1490 along with a free gift voucher of Lenskart worth Rs 500. Just like Dish TV, it does provide one-month free subscription too. Though this is just the HD new connection price, new SD connection price is just Rs 1390. 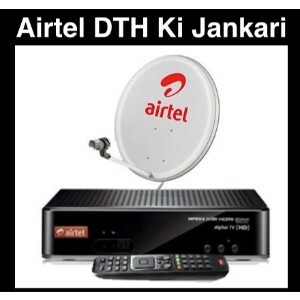 Check out the Airtel DTH Recharge Offers that are better than the Dish TV Recharge offers on many fronts. This is a bit more expensive than the others in the list. 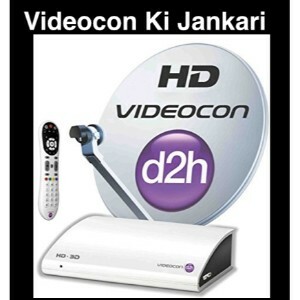 A new connection of Videocon D2H service will give you a pocket pinch of Rs 1820. If you want the HD connection, then you will have to pay Rs 2020 at least. More advanced and better packs are also available; you can check them out at their official website. But even though the prices are a bit higher than the others, here you will be getting instant cash-backs worth Rs 1000 of ClearTrip, Flights & Hotels+Saving coupons worth Rs 2000 from CouponDunia, 60-day free Magzter GOLD subscription in addition to Coupon worth Rs 100 from Foodpanda. Phew! That will certainly cover up the extra money put into the new dish installation. 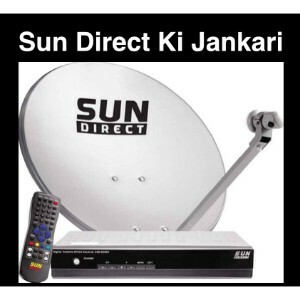 Sun Direct is a DTH service tailormade for South Indians. Its basic SD connections start from Rs 1790 and the HD connection is priced at Rs 2590. But don’t get upset because of the high price as in HD you will be getting three months of free subscription when you install a new dish. You need to select the region as per your convenience. You can choose Tamil, Telugu, Kannada, Malayalam, Rest of India depending upon the region you live in or wish to establish the new connection. Then you will be directed to the next phase where you will need to select your apt subscription package. 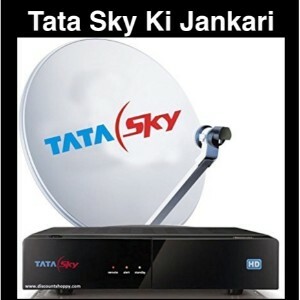 It is the second most popular private DTH brands in India right after Dish TV. You will get a new SD connection at a price of Rs 1800. One month of free subscription to Sports Dhamaka package will be offered along with it. If you fancy an HD connection, the basic price is Rs 2000. Go for the annual subscription to save a few bucks. You can make a quick comparison of different New DTH connection prices and then decide on which one to go for. If you wish to compare the DTH price of any other DTH service provider, do mention in the comments. We will update you shortly.